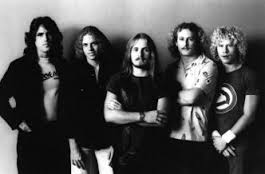 This entry was posted on March 31, 2014 at 6:24 pm and is filed under 1980s, Heavy Metal, Heavy Metal and the 1980s, Music, Rock, Uncategorized with tags 38 Special, Blackfoot, Classic Rock, glam rock, hard rock, Heavy Rock, Johnny Van Zant, LA, Lynyrd Skynyrd, Molly Hatchet, Round Two, San Francisco, Southern Rock, The 1980s, The Beatles, The Outlaws, Thrash Metal. You can follow any responses to this entry through the RSS 2.0 feed. You can leave a response, or trackback from your own site. Damn, I’ll have to check these guys out too!